We were certainly in need of some pizza after the long July 4th weekend, and I certainly wasn’t about to make any! 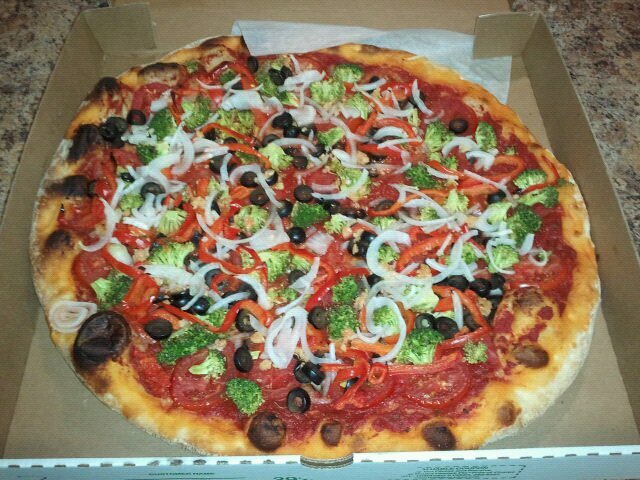 So I called our local pizzeria and placed my order. 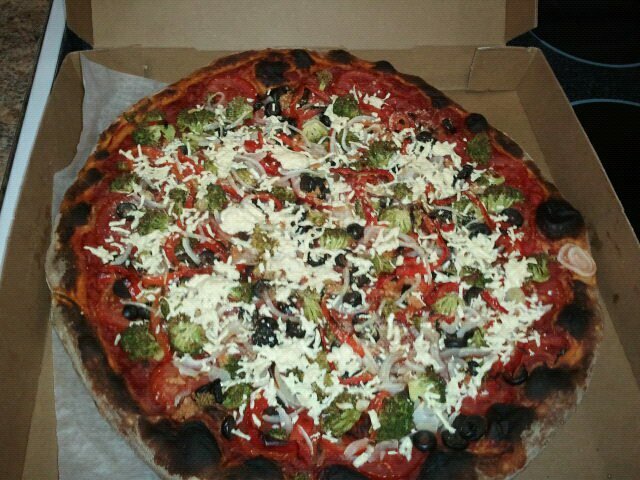 1 large veggie pizza, no mushrooms, no cheese, uncut. 1 order of plain rolls. The pizza came fully loaded to which I added some nutritional yeast & Daiya Mozzarella, and placed in under the broiler for about 5 minutes, and then cut. 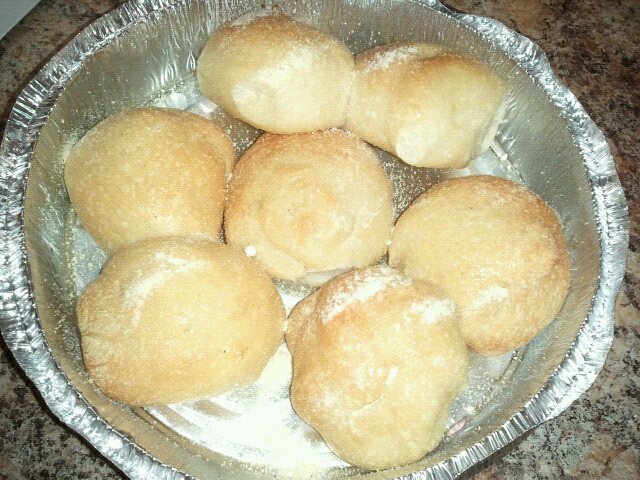 While the cheese was melting, I went ahead and sprayed the plain rolls with olive oil, garlic powder and vegan parm.